Rwandair is the flag carrier airline of Rwanda, operating domestic and international services to Africa, Europe, the Middle East, and Asia. TDB granted a term loan to part-finance the purchase of two factory-reconditioned CRJ-200 LR 43-Seater aircrafts; and two brand new Boeing Model 737-84Y aircrafts. The acquisition of two additional aircrafts has expanded the airline’s international coverage to India and China. 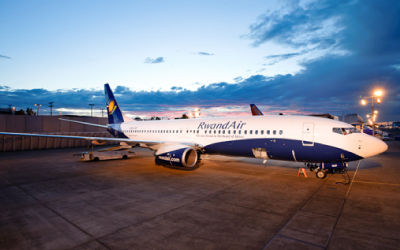 With wider route coverage, Rwandair offers more choice, convenience and flexibility to its passengers. The project has spatial linkages with the rest of the economy. The airline, through the generation of employment and movement of people and cargo, continues to stimulate other economic activities.